When a big brand opens a new retail shop in the heart of Melbourne it has to be not just good, but great. This is especially true when the shop is all about showcasing the latest in technology. Call InSight Systems as the preferred audio visual consultants to make it happen. The new Samsung store in Melbourne Central had to have it all. It needed to ‘wow’ customers by making the product not only look fantastic but for the interaction and experience to be totally engaging. 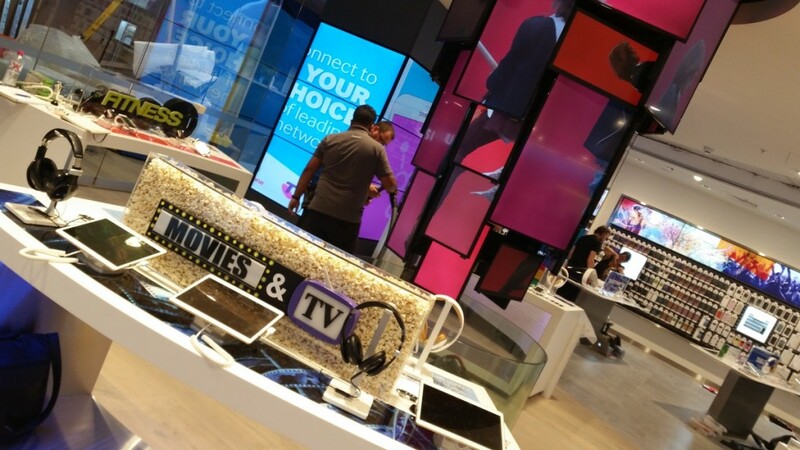 In the highly-competitive world of technical retail this big investment required expert av solutions. Samsung trusted InSight Systems with their av integration and installation. Into this brand new retail space InSight were contracted to install and hang a range of Samsung’s latest panels. In the heart of the store is “TheHurricane”. This spectacular display consists of a circular steel frame connected to the ceiling of the store that has 6 rings, each at a different circumference, dropping down to 900mm above the floor. This gave the impression of a ‘hurricane’ type shape. 32 LCD panels of different sizes were fixed to the frame. InSight’s audio visual installation specialists consulted on cable management and panel mounts. 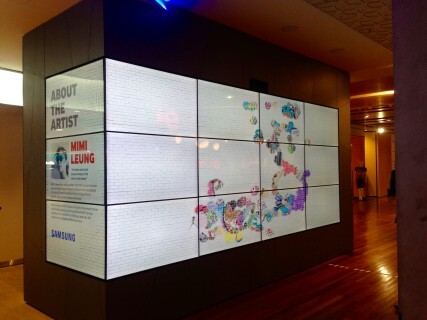 A further two 55inch Samsung panels were mounted in a 4×3 format to create a large interactive video wall for the general public. The 12 x 55 inch panels were installed around a central column to box out the round column and a large 95” panel was mounted on one wall. The Enterprise area at the Samsung store was developed for display and demonstration of Samsung products and digital signage software to key users including universities, government departments and the corporate sector. The Video wall in the enterprise space houses nine 55 inch panels arranged in a 3 x 3 format. Other products in the space are the 75 inch Samsung touch overlay with a AMX controller. These are used when demonstrating Samsung signage software. Samsung opened their new flagship store on time and the audio visual experience equaled their famously high product standards.